Archbishop Prowse, Elder Tony and Archbishop Yllana. HOMILY at St Christopher’s Cathedral, Canberra on the First Sunday of Advent and the 30th Anniversary of St John Paul II’s Speech at Alice Springs. We have now entered into a new Liturgical Year focussing on the Gospel of Matthew. We begin today our Advent Season. The Gospel calls us to STAY AWAKE in anticipation for the Lord’s coming. We are to be ‘READY,’…for the Son of Man is coming at an unexpected hour’. It is a time of hope. Not only is Jesus to come unexpectedly in time, but he comes unexpectedly in appearance. Who would have expected the Almighty Son of God to come unexpectedly as a fragile child in a Bethlehem stable, at an unexpected time of Roman Imperialism in the chaotic religious culture of Judea. This entry was posted in Bishops, Homilies, Pope Francis, Special interest and tagged Aboriginal and Torres Strait Islander Peoples, Pope St John Paul II on November 27, 2016 by ACBC Communications. On Sunday 27th November 2016, church leaders, parishes and Indigenous communities will gather together to commemorate the 30th Anniversary of Saint John Paul II’s (JPII) visit to Alice Springs in the heart of Australia on 29th November 1986. The theme of the commemorations is, ‘Walk Tall and Command Respect. The time for this rebirth is now’. 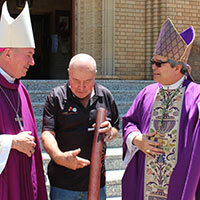 Bishop Eugene Hurley, Chairman of the Bishops Commission for Relations with Aboriginal and Torres Strait Islander Peoples (BCRATSIP) said, ‘It is appropriate that we celebrate and observe the thirtieth anniversary of the visit of John Paul II as we prepare for the coming of our Lord Jesus Christ in Advent. As with both, the theme is one of hope and rebirth’. 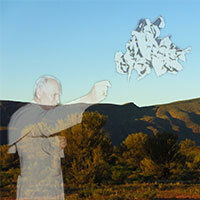 This entry was posted in Bishops Commissions, Press Releases and tagged 30th Commemorations, Aboriginal and Torres Strait Islander Peoples, Alice Springs, Pope St John Paul II on November 21, 2016 by ACBC Communications.